Stylish look and easy to wear! 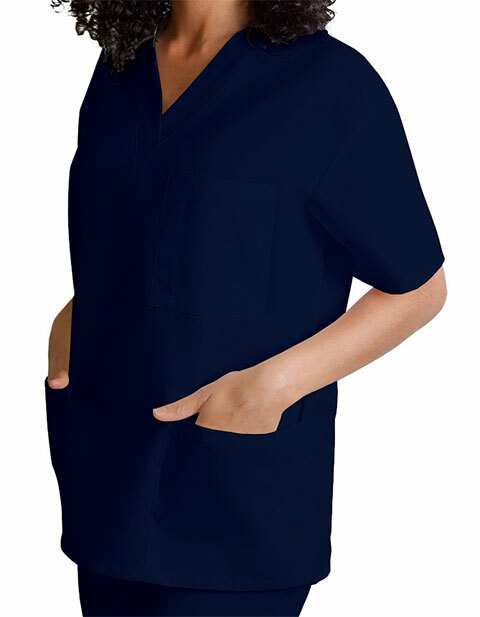 The Universal Basics by Adar brings unisex V-neck three pockets nursing scrub top that is gives a crisp look with freshness and comfort. Featuring tunic-style cut and modern fit, it is ideal for a professionally appealing look. 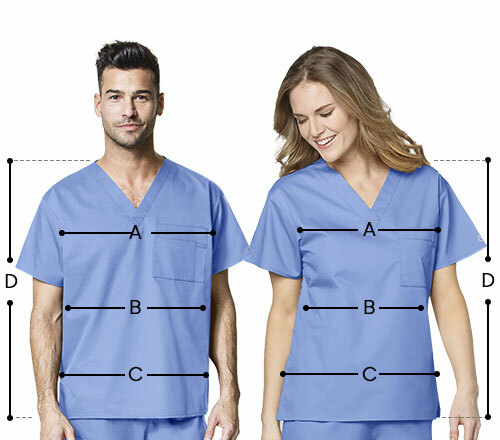 The short sleeves and side vents aid in mobility while the three deep large pockets including one chest pocket with a pen divider provides organized storage space for your nursing supplies. The simplest but definitely the most comfortable and one of the most affordable scrubs that I had bought. I already have three of these but I ordered another one just recently in Geranium. Most probably I will be purchasing this top in other colors. Its pockets are huge enough that even my stethoscope could fully fit in. I highly recommend this item to every medical professional. Q ) It runs true to size ? Q ) Do these have big pockets ? Q ) Is it thin material ?